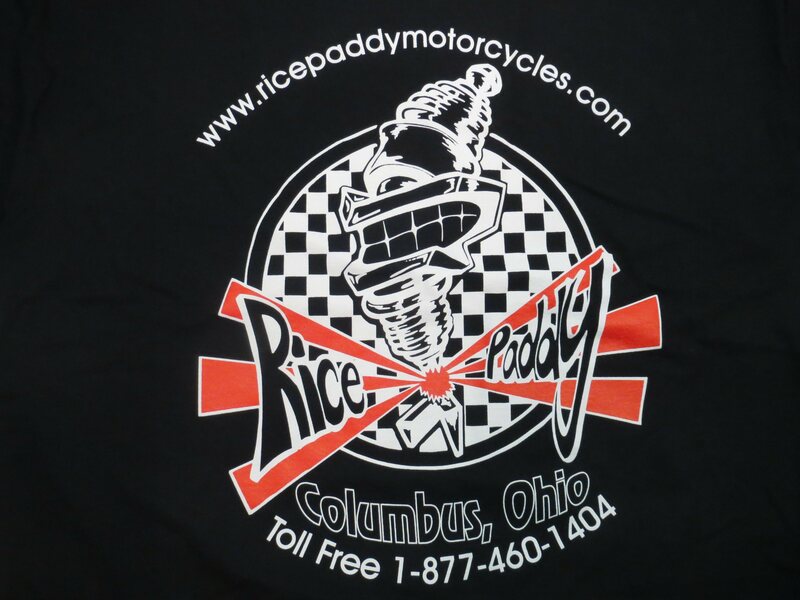 This is the classic Rice Paddy T-Shirt with Sparky the Spark Plug mascot on the front. 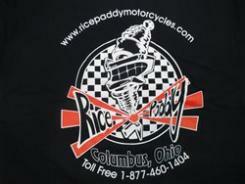 We may have a few of these with black and red ink on a white shirt. Call or email to find out.